My Dream Canvas: A Giveaway and a Birthday!! 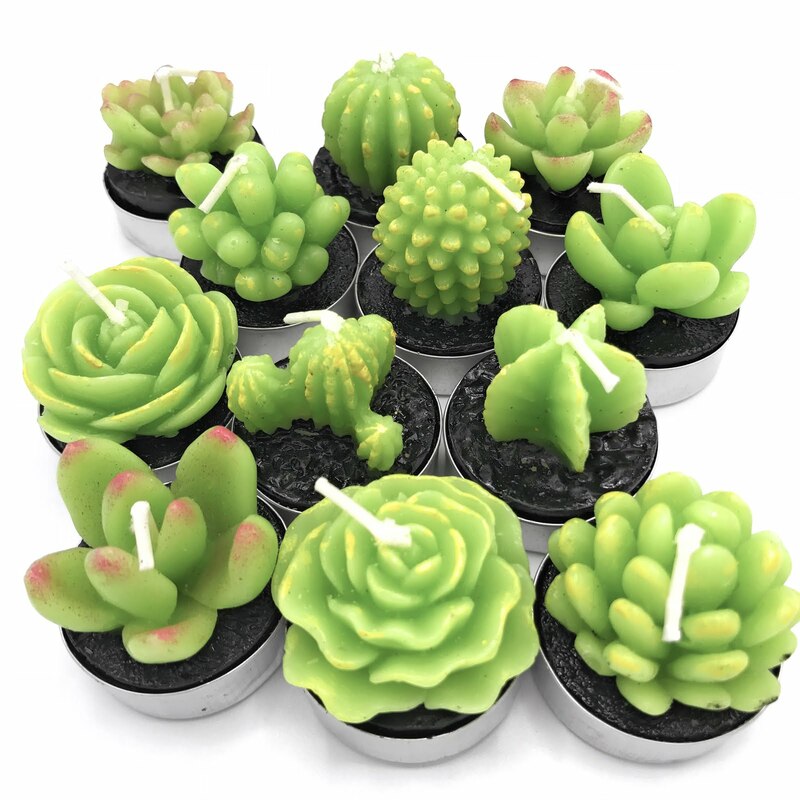 A Giveaway and a Birthday!! Its my Dad's birthday today. To celebrate this lovely day, My Dream Canvas is announcing an exciting Giveaway:-) The giveaway is a delightful collectible clock from Timeworks Inc. I am a huge fan of Timework's antique and whimsical designs. Timeworks, is a California based company and each of these clocks are individually made by hand. To know more about Timeworks Inc please visit them here. Here's some information about this particular clock. The clock is called "Latin Botanical Strawberries". An aged brass plate incorporates the Latin designation "Fragaria Virginiana" onto the clock. The decorative hands and optional aged brass pendulum add elegant accents. I am happy to announce that this Giveaway is open to readers all over the world. 1. If you like what you see, become a follower of my blog on the sidebar and leave me a comment. 3. For a second chance, announce this giveaway on your blog and let me know in another comment. 4. If you don't have a blog, please leave your email address in your comment. Remember this Giveaway is open to readers worldwide. I shall pick the winner on Valentines Day, February 14th. I am joining Cindy at Show and Tell Friday at her fabulous blog My Romantic Home to spread the word! i love giveaways and birthdays! and even merry unbirthdays! Happy Birthday to your Dad! Its also my son's birthday today :). The clock is pretty and I would love to take part. Thanks for the invite. I hope your Dad has a great birthday. Love the clock! It would go perfect with the red in my kitchen. Thank you for the invite & stopping by my blog. I too am having a giveaway right now :) you should check it out. Good to see you're back to blogging after your vacation. when I first saw the headline I thought the giveaway is held on your blog's birthday, which is mostly the norm in the blogosphere. but hats off to you for holding it on your Dad's b'day Anu. wish him a very happy Birthday. another thing that I like is this giveaway is open for us as well yayyyy! I have been following your wonderful blog for quite sometime now. and am a fan of your interior ideas. very ethnic yet functional. This will look awesome on my kitchen wall :) Happy birthday to your Dad!..became a follower too. Happy birthday to ur dad :) I'm a follower . Happy birthday to your dad and I would love that clock. I am a follower. Aaaah... I can totally see my daughter lovingt his watch! Happy Birthday to your dear Dad! I would love to win a clock. I am a follower! Hello Anu! I am a Follower. Sign me up for the giveaway. Thanks for visiting my blog and commenting. You are always welcome. Thank you so much for visiting my blog today and inviting me to join in with your wonderful give away! I look forward to following you and reading your blog. Please send your dad my best wishes for his birthday too. What a nice way to say Happy Birthday! I am a new follower! Good Luck! What a pretty clock! Happy B-Day to your father! So glad you stopped by! Anu, I would love to win this. I need a new clock bad in my kitchen. Happy Birthday to your Dad! I am a follower. I posted this on my sidebar too and used your picture. It is a beautiful clock! Thanks for the lovely giveaway! Thank you for stopping by to visit my blog and share in my day dreaming...I hope you have a wonderful weekend and Dad had a lovely and blessed Bday. aww, happy birthday to your dad. that's so nice that you are offering this as a giveaway to your readers, too! Happy Belated Birthday to your Father! And what a wonderful giveaway, thanks so much for the chance to win this beautiful clock! And of course I'm a follower! Thanks for inviting me to your giveaway! I just became a follower. I'm redoing my kitchen with red decor (apples and such). This clock would look great! Thanks for inviting me Anu..I'll blog about it ! This is beautiful. I am now a follower and will mention it on my blog. Thanks again Anu. I am a new follower. Happy Birthday to your dad. Great clock. Thanks for inviting me over. Sign me up-I am a new follower :) PS-Your mosaic Monday post was wonderful today. Please visit Verde Farm anytime. Thanks for your comment. Thanks for visiting my blog and leaving your sweet comment. I've become a follower of your blog and would love to have a chance to win this beautiful clock. Great give away! You know that clock would look great in my kitchen. I need a new one and we are constantly looking at the microwave for the time. I am a new follower and will put the link to your giveaway tonight and come back and let you know. Thanks. I am a new follower! I like your blog a lot! I hope you will visit again and become a follower of mine! I love the clock. You did a fab job picking it out! O, what a darling giveaway. Thanks so much for letting us have the chance to win a pretty clock. 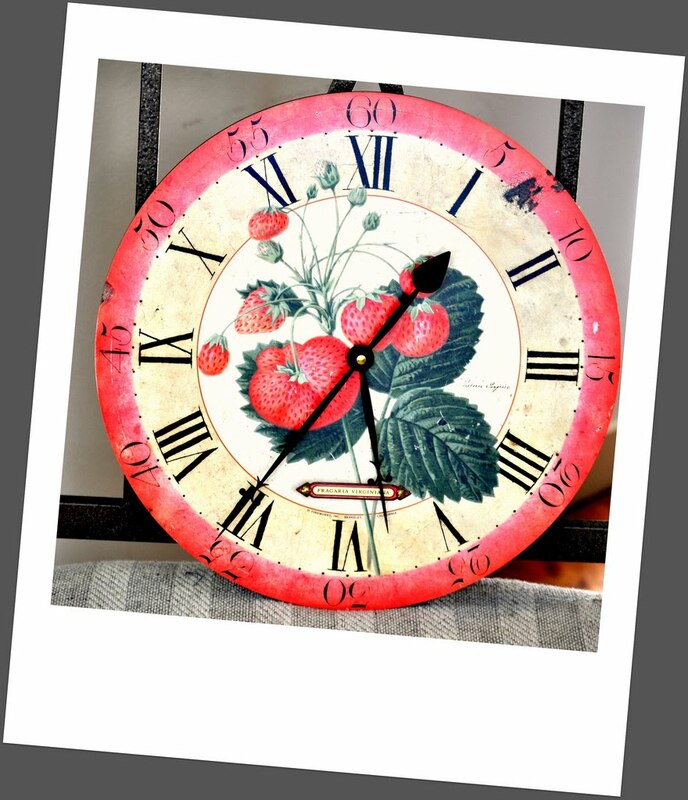 What a sweet strawberry clock! Thanks for the comment inviting me over. I'm not as wonderful about decorating as you are so its great to find some tips! I put a link to your site on my blogroll so I may come back often! Thank you for your kind invitation to join in the fun at your lovely blog, and I am pleased you stopped by mine. I hope your Dad had a wonderful Birthday. The clock you are giving away is gorgeous. I would love to see it on my kitchen wall! Good luck to everyone and Thank you for this wonderful opportunity we have all been given. What a beautiful giveaway in honor of your father's birthday! The clock's design is perfect for any kitchen! Great clock, it would look great in my farm kitchen! Thanks for stopping by and inviting me.I'm a new follower and will be stopping back soon! Great clock - I did become a follower - lovely blog! i sooo love this clock!!! we just celebrated our first wedding anniversary....and so what better than this as the perfect valentines gift from you to me (us) ???? Very cute clock, I know just were I would put it (if I won)! 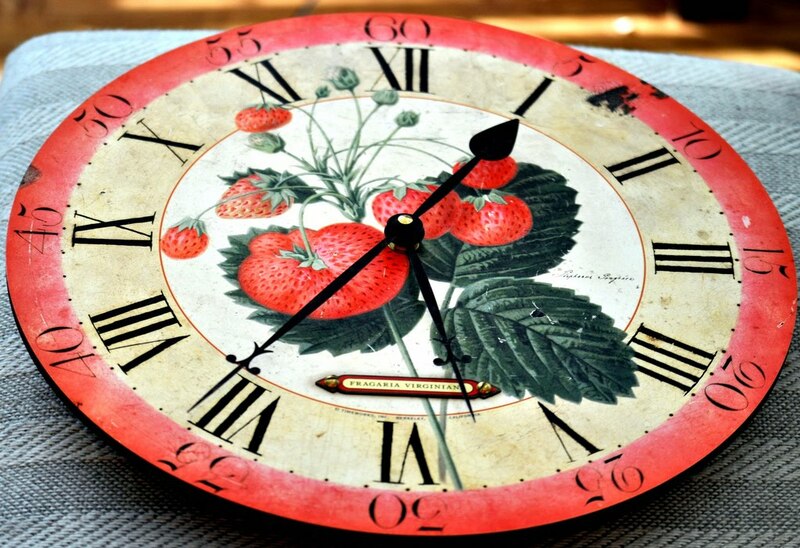 Love the clock...and anything with strawberries for that matter! Now following you! Love the clock. Following you know! Thanks for stopping by my place too. Gorgeous Clock! I'm already a 'loyal' follower! Thanks for the giveaway! i would love to win that gorgeous clock! Many Happy Returns of the Day!!! Beautiful colour combination on the clock ... looks so rustic and beautiful!!! !